To reach their decision the judges asked Stewart to provide a portfolio of his work undertaken with us. 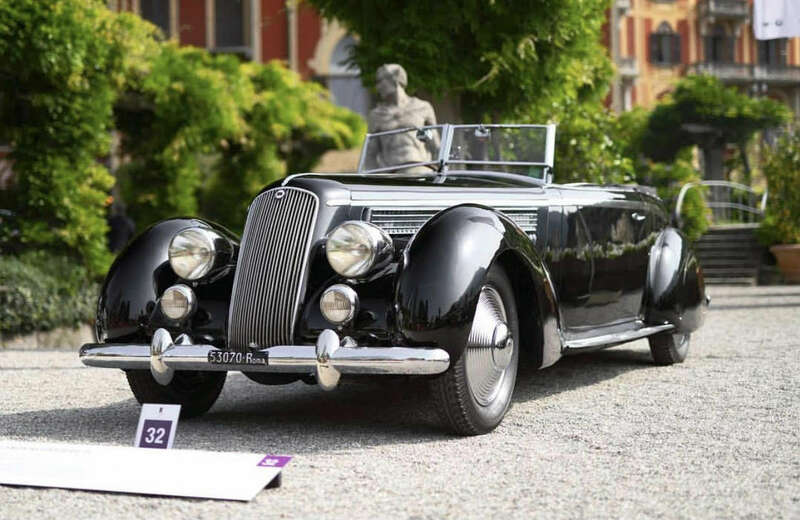 This included photographs of cars he has worked on and samples of coachwork and engineering work. 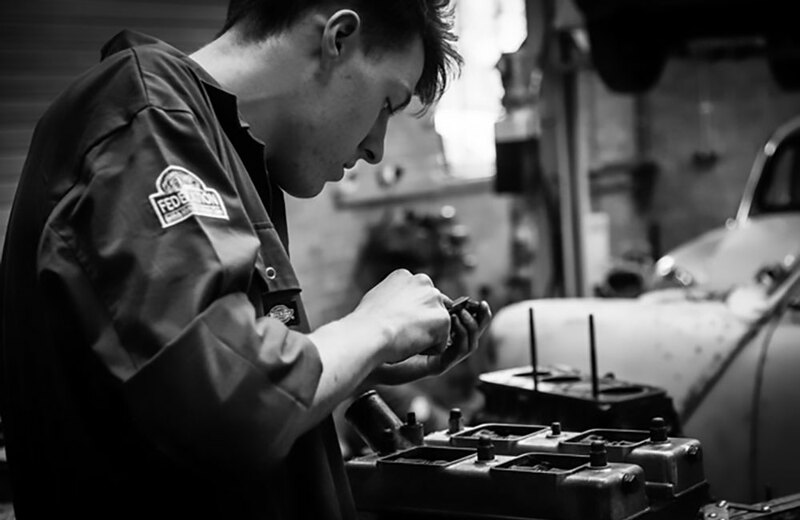 Stewart also showed the judges specialist tools he has made and they were impressed with the nickel turn buckles he designed himself and had made for various customers’ jobs. Using his daily time sheets Stewart described a typical day at work and demonstrated how his skills and understanding have progressed over the years. 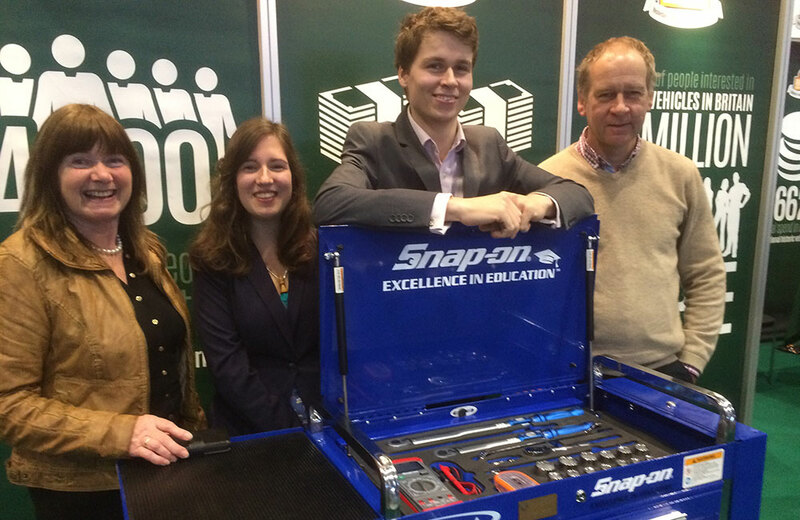 The judges praised his organisational skills and investment in the profession after seeing his meticulous toolbox. They were impressed with Stewart’s personal projects. At home he has been working on a 1979 1275 GT Mini which was found in appalling condition in a farmer’s hedge. Stewart has been restoring the car in his spare time and has made great progress with the chassis and engine work. This engine was brought in for display. Stewart also had to undergo an interview with the judges. He was asked to prove an understanding of health and safety in the workshop, such as PPE safety equipment and policies for safe working. He was questioned on the manufacture processes for various parts displayed in the portfolio, such as the coachwork for a 1913 Silver Ghost running board box. The judges also asked Stewart why he joined the restoration profession and to elaborate on his future plans. Stewart enjoyed the interview element of the judging and showed great pride in his work. 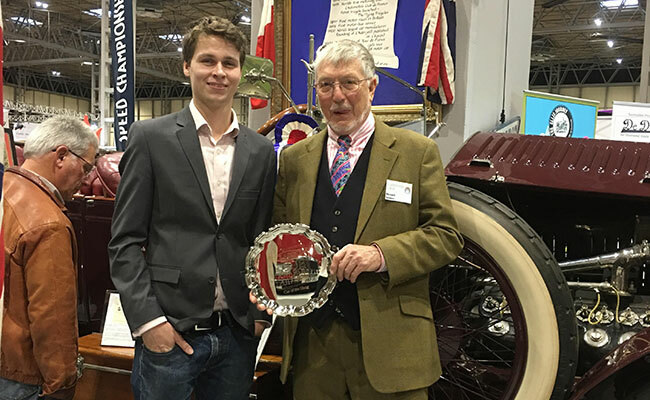 Excitingly the award was presented at the NEC Classic Car Show in Birmingham. Stewart attended with his proud parents and partner Francesca, all who enjoyed the day looking around the show. 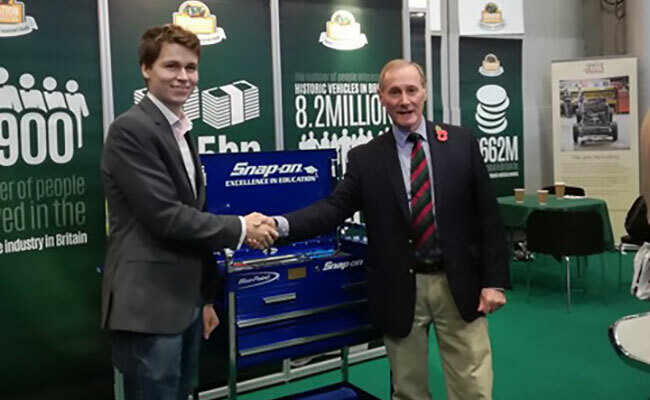 Stewart was invited up onto the main stage to receive his prize, a superb comprehensive Snap-On toolkit with engraved plaque. While on stage he was interviewed by Foundation Trustee Bill McGawley OBE. 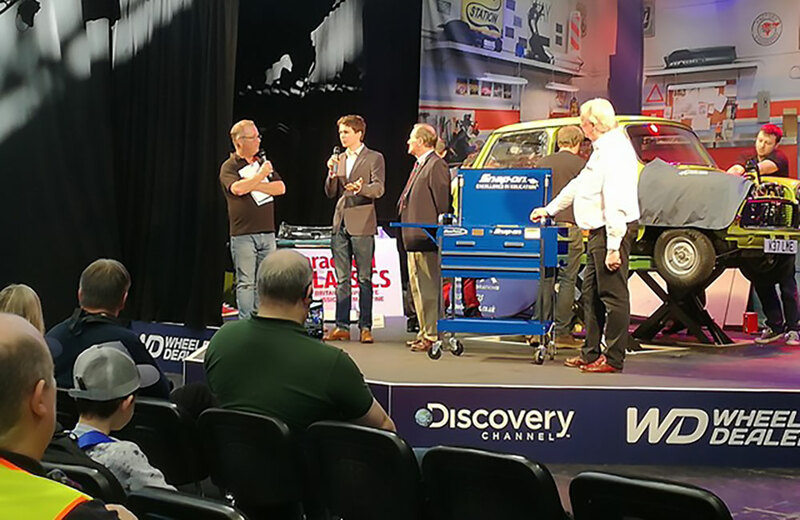 Stewart answered questions on how he had joined the profession and gave advice to young people in the audience considering taking up an engineering apprenticeship instead of going to university. Bill McGawley stressed that the UK economy urgently needs switched-on, well-trained, motivated skilled people to add value and real economic growth and extolled the advantages of obtaining qualifications while being paid, without incurring large student debt. 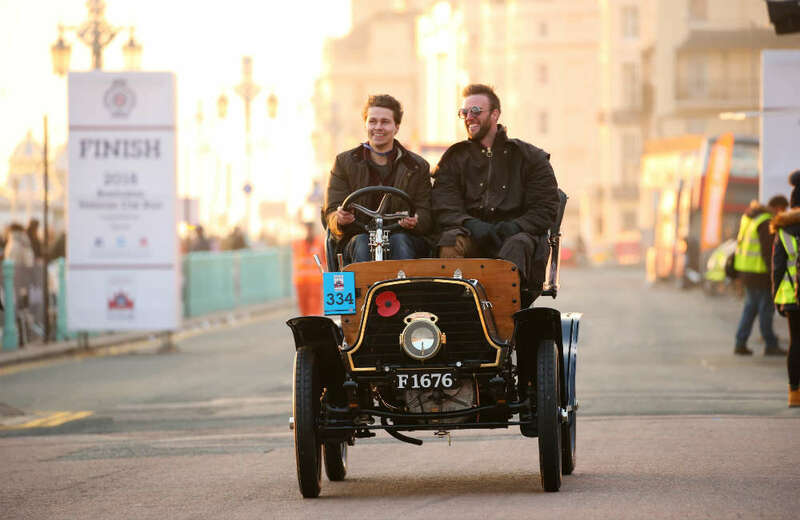 At the show our customer Bernard Holmes’ 1913 V8 De Dion Type EF 30hp Tourer won “Best in Show”; he and Stewart are pictured together. We are very proud of Stewart’s achievement and hope it sets a good example to other young people in the industry.